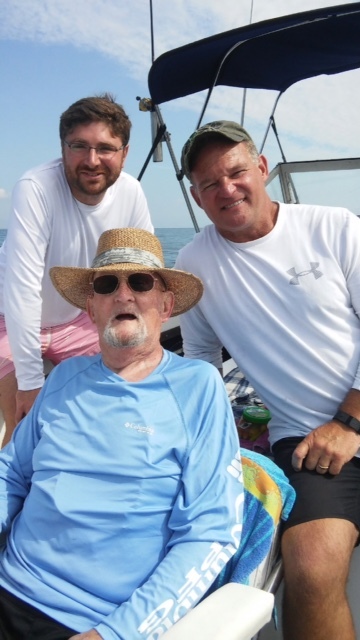 When James, Spiritual Care Coordinator, heard about patient Thomas's wish to go fishing on a boat one last time, he knew he had to do everything in his power to make that fishing trip happen. 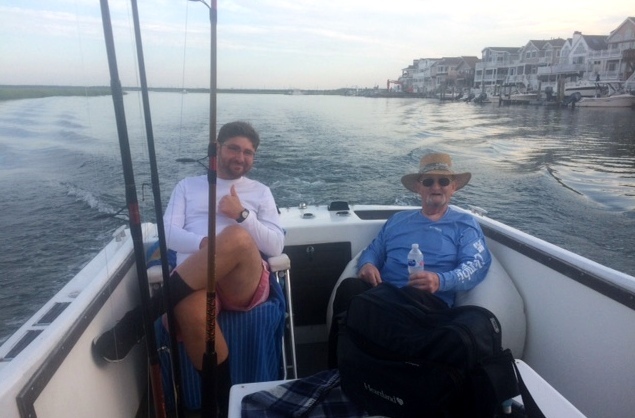 When James, Spiritual Care Coordinator at Heartland Hospice serving South Jersey, heard about patient Thomas’s wish to go fishing on a boat one last time, he knew he had to do everything in his power to make that fishing trip happen. James spoke with Tara, Senior Administrator, about Thomas’s wish and she worked with the rest of the staff at Heartland Hospice to help make his last wish come true. Thomas was an avid fisherman and enjoyed fishing with a group of veterans back in his younger years. Tara, James and Salvatore, RN Case Manager, helped Thomas achieve his wish and planned the trip to Sea Isle City, NJ. On the day of the trip, Thomas was smiling from ear to ear and couldn’t thank everyone enough. Thomas's wife, along with his best friend, were there to see him off, while James and Salvatore joined him on the boat to fish. “It was exciting to watch his reaction when the boat sped up while going through the inlet, and as the sun came up that morning, we were greeted by a pod of dolphins. While we were fishing, Thomas talked continually about his past fishing trips” said James. “I was happy to help Thomas achieve his wish of being able to go out fishing one last time. The day was perfect; from the weather, to Thomas catching the first fish and being able to reel it in without any help. This experience with him has left a lasting impression and leaves me with pride in choosing hospice nursing as a profession,” Salvatore said. A couple of fish were caught and Thomas was very appreciative for the one last boat ride. He sat in a beau bay chair facing the ocean while heading back to the dock and was extremely content with his day. The Heartland Hospice team was honored to be able to make his last wish come true. "Made with Love by Heartland Hospice Volunteers"
“I wanted to give our hospice patients something that would bring them joy." Volunteers are the heart of Heartland. 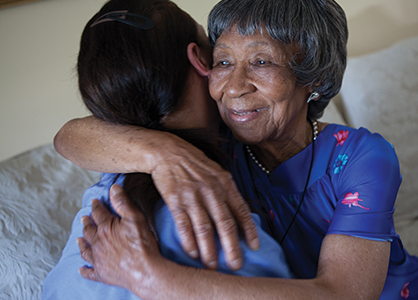 We depend on our hospice volunteers to help us provide the love, respect and care our patients and their families need. 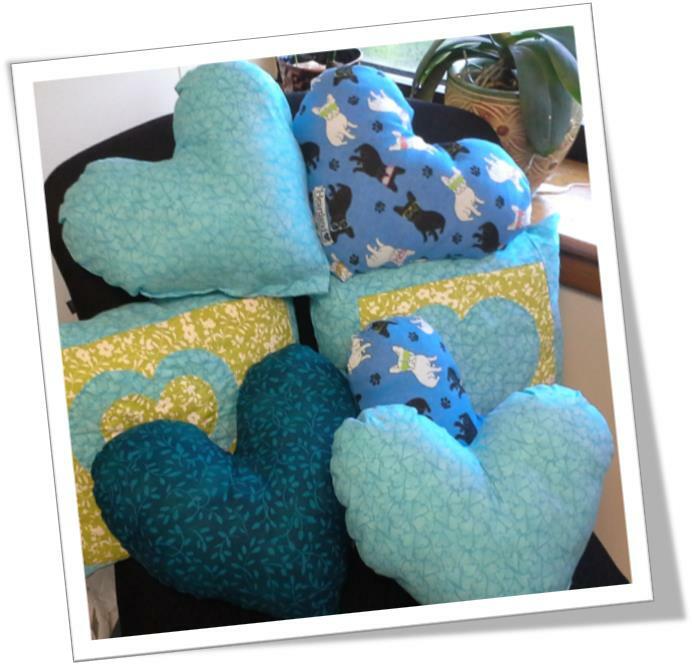 At Heartland Hospice serving South Jersey, volunteers sew heart-shaped pillows to give to hospice patients. The tag on the pillow says “Made with Love by Heartland volunteers.” All of the pillows are made out of blue fabric and some have a print of dogs on them for our patients who love pets. Students at Northfield Community School had one last assignment to complete before heading home for summer vacation. This assignment wasn’t meant to boost their final grades, but to uplift the spirits of those who need it most. “The students who are located right across the street from our offices here in Northfield, New Jersey did this wonderful thing, and made these beautiful pillows that we will provide to our patients as a way to help comfort them through their time with us,” said Margie Barham, the Volunteer Coordinator at Heartland Hospice serving South Jersey. Over 20 students made 40 heart-shaped pillows for patients at Heartland Hospice, a company that provides care to sick patients in South Jersey. This year they took it a step further and worked right down to the last week of school to finish the pillows. “With young people, death and dying isn’t something that they usually think about. So, this is something that connects that and gives them the ability to make a difference,” said Margie. “I don’t want to go through that situation and I don’t want people to feel bad," said Valeria Montoya, a seventh grader at Northfield Community School who helped work on the pillows. "I want to help them not to feel alone and feel bad about themselves. I want to help them feel good." “Dying isn't such a happy thing, but you can make somebody happy in their final days by doing something like this,” said Margie. The school hopes to get more students involved next year to provide even more smiles to patients during their time of need. To read the original article and watch the video from SNJ Today, click here. For therapy dogs like Lilly, she makes a positive difference with all of the hospice patients that she visits. After cheating death three times, a six-year-old English Bulldog and her owner have found a way to give back, by helping brighten the day for others. “She’s like a cat with nine lives, she’s faced death three times, and she’s a tough little girl,” said Colleen Ortiz, a pet therapy volunteer at Heartland Hospice Serving South Jersey. When she was a puppy, Lilly, the English bulldog, was choked by her collar and ended up in the hospital for four days. Flash forward a couple of years, and she had to have emergency surgery to remove her uterus, which helped her Veterinarian find mammary cancer. Now, the six-year-old pup and her human are thanking their lucky stars by giving back. “She’s got a big heart, and it’s almost as if she knows that she’s paying it forward,” said Colleen. In between tug-of-war playtime and loud snorting, Lilly and her companion travel around South Jersey to make friendly pet visits to patients of Heartland Hospice. “Heartland Hospice provides hospice care for patients who have a diagnosis that would indicate that their condition is terminal,” said Margie Barham, the Volunteer Coordinator at Heartland Hospice Serving South Jersey. “We find that with our pet visitor volunteers, the pets are particularly useful for patients that might be non-commutative, who may have had a stroke or may have Alzheimer’s,” says Margie. For therapy dogs like Lilly, she makes a positive difference with all of the patients that she visits. But at Heartland Hospice, they’re looking for more volunteers and pet-therapy dogs to help put a smile on dozens of their patient’s faces. “After Lilly and I visit a patient, you leave with a very good feeling; you feel like you were able to put a smile on someone’s face who’s facing some hard months ahead,” said Colleen. For more information on how you and your furry friend can volunteer, call Heartland Hospice at 609-641-4675 or click here.